She is a two year old Rhode Island Red hen, and also Little Dude’s favorite hen in all the coop. She was the first of the Rhodies to let him pick her up and respond to his affections. I’m not sure how evident it is from the pictures, but her abdomen is swollen like an over full balloon. 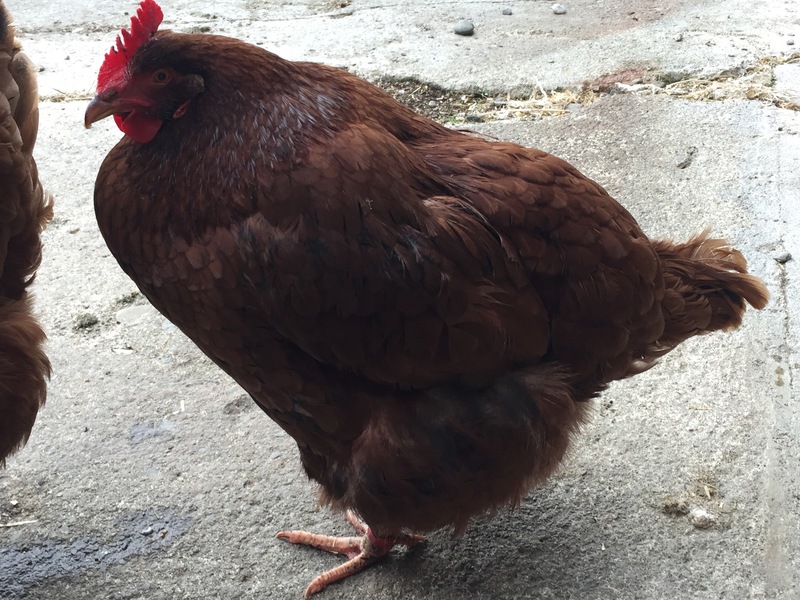 I’ve spent the last week treating her – or trying to treat her – for being egg bound. Warm baths in epson salts, a soft next, dark room away from her flock in the comfort of our porch. Liquid calcium drench. I even stuck my finger up her vent looking for an egg. I didn’t find one, though. She stopped eating when I separated her from the flock, so after two days of nothing happening, I put back with her flock. She eats, forages, but walking at a slower pace. The swelling has not gone away. Her walking is getting slower and more difficult. She can’t jump up on to the roosts at night now. She hasn’t passed an egg or yolks. I haven’t seen her poop in days. I’ve looked up the symptoms and everything I’ve read says this is not good. In the meantime, she’s slowly suffering, and we’re suffering right along with her as we’re watching her do it. Last night, I told him he needed to say good-bye, because this afternoon, Dad and I were going to do the right thing and cull her. I don’t want to wait it out until she either dies or her abdomen bursts from the pressure of whatever is making her swell. I don’t want to come down one morning to let them out, or in the afternoon to collect eggs and find that she keeled over and the rest of the flock decided to cannibalize her. Because chickens are opportunistic little onmivores. So we hugged and snuggled her and said our good-byes last night. Told her what a good girl she was and how sorry we were. Told her that Becky and Ava, Madison and Dottie and poor little Riley were waiting for her on the other side of the Rainbow Bridge, in a pasture of fresh grass and fat juicy bugs. That there was a patch of dirt, warm from the sun, waiting for her to stretch out in. She laid her head on my shoulder and closed her eyes, as if to let me know that she understood. I hope she does. Today is going to be a rough day. Next ›How Did I Miss This? I’m so sorry. No matter the species a pet is a pet and the loss is felt. But you are making the right choice. Thank you. It’s not an easy thing. She was a good little hen, with a friendly disposition. My son loved her a lot. I feel better knowing she is not suffering, but I know how much we will miss her, too. Oh, you poor things! 😦 I’m so sorry to hear about Jolene. That is very sad. 😦 You’ve done the right thing though. 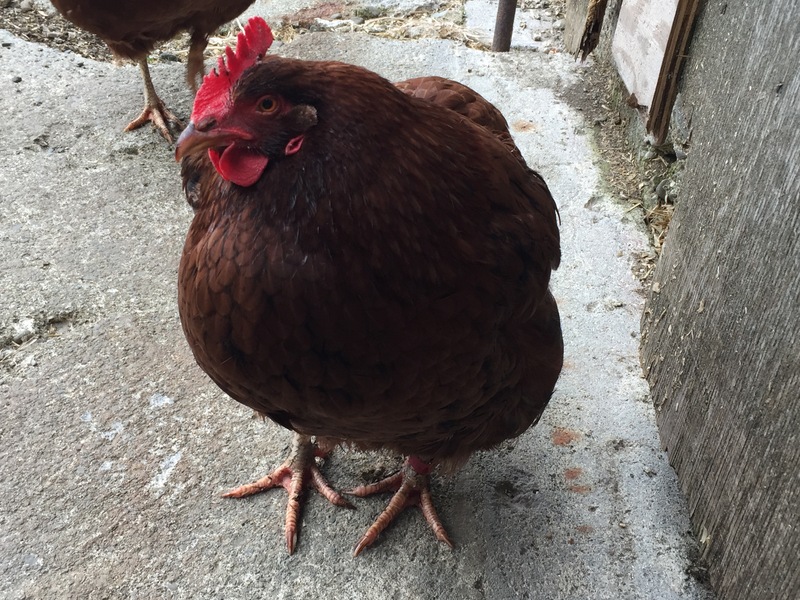 Egg binding is one of the things that freaks me out the most with chickens, as it sounds very difficult to deal with and get a positive result from. Hope Little Dude will cope ok. He seems to be handling well. He has such a tender heart. We did the culling while he was at school so he didn’t have to see it. He’s been helping me raise them since Day One. I would have been happy to have found an egg inside her. It would have at least been an explanation. That’s good. It is particularly tough losing a favourite hen. Did you do an autopsy of sorts? I suppose it could have been something like a tumour as well, in which case there’s even less you can do. I did not do an autopsy. I don’t have a place to do one or the proper tools. It’d just be me with a knife, and I know what I was looking for. Yeah, me too. Maybe one day I’ll be able to attempt something but it would be a mission, emotionally and intellectually. Oh no! So sorry! You did the right thing though in not letting her suffer. I know that I made the right call, but it’s never an easy one to make. In the end, you have decide what truly is the best for your bird. Jolene is missed, and will never be forgotten.